It’s easier to become successful when you’re committed to helping others be successful. When you make a commitment to helping the people around you achieve their dreams, the people around you tend to help you back." I believe humanity is getting better and better at helping others become successful. The marches worldwide show how people from all over the word are attempting to help others achieve their dreams. Nurses, healers and teachers often show a commitment to helping others. Project managers do, too, after all, that's what we do: help our customers achieve their goals (dreams) - big or small. We help our customers figure out what they really want when we clarify their requirements - defining the dream. While we are ensuring the project stays on track, we are helping customers in goal realization. Incorporating changes along the way is important, too - the refinements in the dream need to be made as the picture becomes more clear. 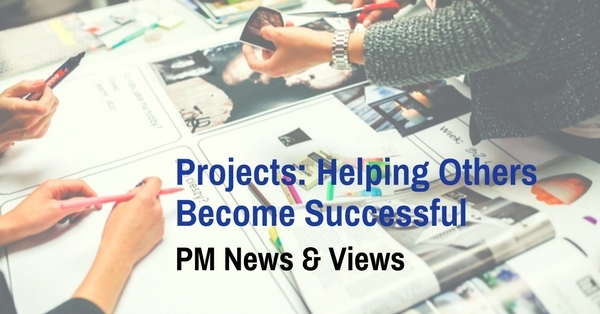 So, congratulations to project managers and those working on projects for making dreams come true!